16 April 2018 (Ottawa) – Former FBI Director James Comey will speak at Canada 2020, Canada’s leading progressive think-tank, on June 5th in Ottawa. 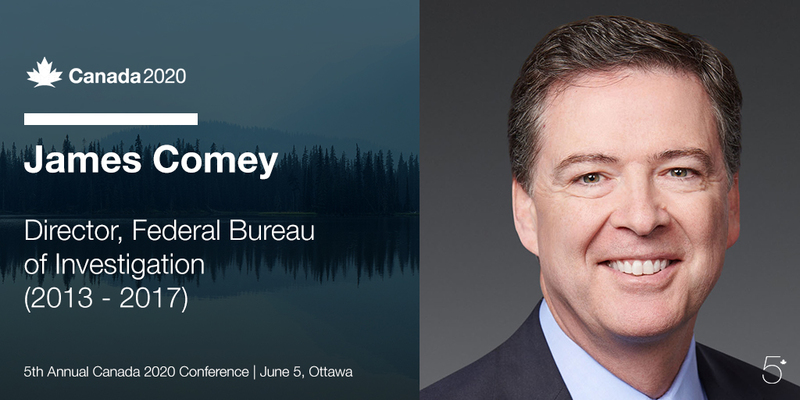 Mr. Comey will be one of the keynote speakers at this year’s 5th Annual Canada 2020 Conference, an annual gathering of Canada’s progressive policy community. Speakers in the past have included Prime Minister Justin Trudeau, Sir Richard Branson, and former U.S. Secretary of State Hillary Rodham Clinton. The themes of this year’s conference mirror that of the G7 Leaders Summit, happening later that week in Charlevoix, Quebec. Mr. Comey’s memoir, A Higher Loyalty: Truth, Lies & Leadership will be released tomorrow. For more information about the event, please visit canada2020conference.com. James Comey led the Federal Bureau of Investigation from 2013 to 2017, appointed to the post by President Barack Obama. His tenure was tested by new forces within and outside America’s borders. He oversaw the federal response to mass shootings in San Bernardino in December 2015 and at Pulse nightclub in Orlando the following June, at the time the deadliest in the country’s history. He also worked to address key leadership, agility, and diversity issues within the Bureau. Prior to his service at the FBI, Comey worked as a federal prosecutor in New York and Virginia as well as U.S. attorney for the Southern District of New York and the U.S. deputy attorney general in the administration of President George W. Bush. 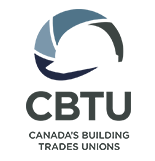 In the private sector, he has worked at law firms and as the general counsel of Lockheed Martin, the world’s largest defense contractor, and Bridgewater Associates, the world’s largest hedge fund. Comey is the 2017–2018 Gwendolyn S. and Colbert I. King Endowed Chair in Public Policy at Howard University. He has been an adjunct professor at the University of Richmond School of Law and a Hertog Fellow in National Security Law at Columbia Law School. A native of the New York metropolitan area, Comey attended the College of William & Mary and the University of Chicago Law School. He and his wife Patrice have five children and live in northern Virginia.